Gender Odyssey Professional in LA, is next week! We are so excited to host this inaugural LA gathering. And we’re proud to highlight workshop presenter Chandi Moore. 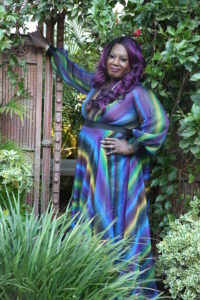 Chandi is a nationally recognized HIV and trans activist currently working for Children’s Hospital Los Angeles Center for Trans Youth and Development. She has extensive knowledge and experience working with trans and gender-diverse youth. In her current role, she leads a nationally recognized and evidenced-based trans youth-specific project called BLUSH (Brave Leaders Unified to strengthen our Health). Chandi is a commanding public speaker and facilitator with years of HIV testing/counseling experience. 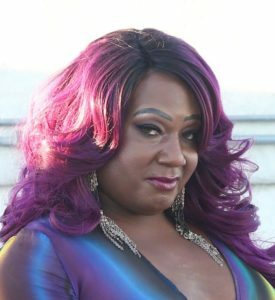 She is known for managing and supporting special events and creatively collaborating within the local and national HIV community, as well as being an advocate and spokeswoman for the trans and LGB communities. What will you presenting on? The entire clinic needs to be in sync – from the security to the directors – to ensure the best visit that youth has. We must use best practices in order to do that. Using the right pronouns, being empathetic, and showing that you care are very important. And these are things that I hope attendees are able to do in order to keep young people engaged in seeking the services that they so desperately need to access. In a climate of unprecedented visibility and new challenges confronting our community, what makes clinic practices particularly relevant? This topic is relevant because meeting young people where they are is so important. We never know what type of day they are having so we must be ready at all times to attend to whatever that need is in that moment. We’ve managed to find our niche, and sharing some of those tips to make things even better for our young people will keep them walking through that door. When they feel safe, they feel as if someone really cares. Just knowing that there are people who have invested time into seeking out this type of knowledge always warms my heart, because we can’t do it by ourselves; we need everyone to join forces together to make the world a better place. To read more about Chandi Moore’s workshop, and see the full conference line up, visit our programing page. Tickets are still available. Register here, or at the door June 28 and 29. Scholarships are also available by contacting scholarships@genderodyssey.org. This entry was posted in Blog and tagged Activists, Conference, GO2017, providers, Spotlight, Transgender Children. Bookmark the permalink.